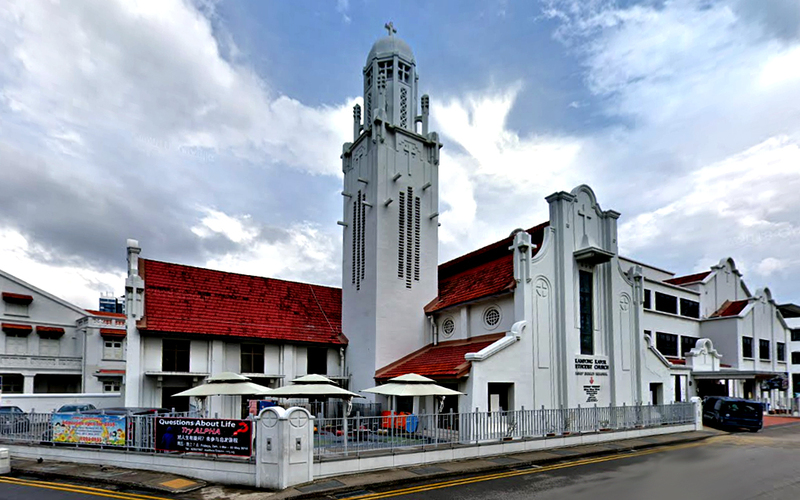 Kampong Kapur Methodist (also known as Bishop Bickley Memorial) is a rather old building in the art deco style, dating from 1930, with a small dome on the top of a (bell?) tower. Has a rather Asiatic feel to it. 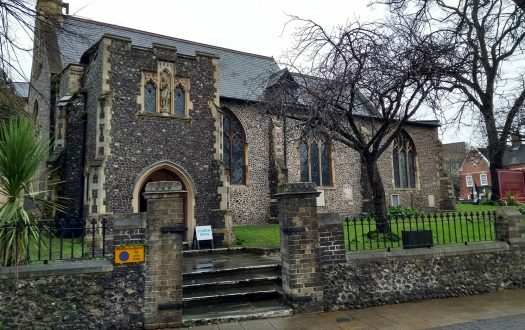 Thanks in part to a generous donation from the family of the late Bishop George Harvey Bickley, the present building came into being as Straits Chinese Methodist Church. It was renamed to its present name in 1971. The sanctuary is spacious, with a high wooden beamed roof and interesting columns that end down in crosses. The interior of the sanctuary is dominated by a small organ and altar. The congregation dates back to 1890, when a missionary, Miss Sophia Blackmore, established a worship service in Malay for children living at the mission hostel. 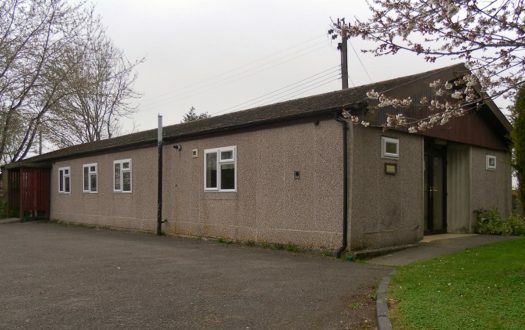 Interest in Miss Blackmore's evangelistic work grew as news of it spread, and the little congregation soon had to move to a larger building. By 1930 they were ready for a building of their own. 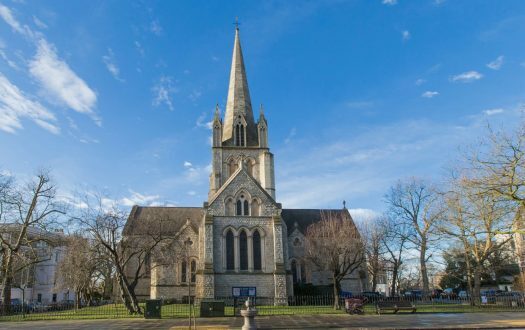 Its heritage as a mission church is still very strong, judging from the number of pastoral care, outreach and educational activities that the church is involved in. They hold no fewer than six worship services each Sunday, three in English and one each in Peranakan, Mandarin and Tamil. The ethnic makeup of Singapore is mostly Chinese, but Little India is the focal point of Singapore's Indian community. It's an area where colourful temples co-exist side by side with churches and mosques, where fortune tellers with parrots on their shoulders will reveal your future to you for a small fee, and where tantalizing scents of spices drift out from restaurants. Despite the church's location, the congregation is predominantly Chinese, so a huge contrast exists between the faces you see on the street versus inside the church. The Revd Gabriel Liew was the celebrant, and the Revd Dr Kang Ho Soon, pastor-in-charge, preached. The worship leader was Alfred Tan. Judith Mosomos directed the choir, and Valerie Wilson presided at the organ. Holy Communion Service in English. Mostly full. A very good turnout indeed! The figure in the bulletin puts attendance for the previous week's service as 334 - an impressive number! The ushers were talking with each other when I entered so I had to get their attention, after which they were very apologetic and nice. Some other people entered my pew after I had settled in, but only muttered an "Excuse me" as they sat down, not otherwise speaking to me until the peace ceremony. I'm afraid not. The spacing between the pews was cramped (maybe to accommodate the large membership of the church). The pews were made of hard wood and uncushioned. It got a bit unbearable during the sermon. Quite reverential. Lots of people praying. Some pre-recorded soft meditative music was playing. After that, someone switched on a recording of church bells, which clashed rather discordantly with the other recording. Thankfully, that was only for a few minutes. "Welcome to the 9.30am holy communion service." The United Methodist Hymnal and The Holy Bible, New Revised Standard Version. An order of worship/bulletin was also handed out, along with a periodical called The Methodist Message. The bulletin contained an interesting insert on the life of the Revd Goh Hood Keng, who I think was one of the previous clergy of the church. Organ for most of the hymns, switching to piano for the communion hymns. The piano was also used for a special youth presentation during the offertory. The hymn singing was thoroughly Wesleyan, boisterous and heartening (although with organ fighting with congregation fighting with the worship leader). The youth presentation was accompanied by some Elton John style piano music, after which the congregation applauded. I saw a drum set, but it wasn't used. Not sure why it was there. The worship leader and clergy sang loudly into their microphones during the hymns, which was rather irritating. With such wonderful and enthusiastic singers in the congregation I thought it unnecessary. The worship seemed to be mostly Baptist, with a few Methodist flourishes thrown in randomly – a confusing blend of high and low church. There was a psalm, of which some parts were chanted, and an affirmation of faith followed by the Gloria. Just before the sermon there was a rather complexly orchestrated scriptural reading, with the pastor-in-charge reading some parts, the men of the congregation taking other parts, the women others, and everyone yet others. The order of worship mentioned a "lighting of the Kingdomtide candle," which I assumed would be a biggish looking candle to be brought in during the processional hymn. But all I noticed was a tiny candle lit during communion, which I'm assuming must have been it. 6 – Pastor Soon's subject matter was heavy on Wesleyan social principles, and it was good to see a church so fully engaged in the community. The beatitudes, poverty, social justice, and the International Monetary Fund / World Bank conference recently held in Singapore. At communion time the children came in from Sunday school to receive. There were just so many of them! It was like a never-ending stream of small, cute young things. This is obviously a church practicing what Jesus said: "Let the little children come to me." The previously mentioned persons bellowing into the microphones during the hymns, ruining the otherwise heavenly congregational singing. People again said "Excuse me" and rushed past me out of the pew. I got to shake hands with the clergy leaving the sanctuary, though. Some delicious fresh dates were served, courtesy of a nearby mosque. It was pleasant to note the interfaith spirit and tolerance among the faith communities of the area. 7 – They'll have to stop singing into the microphone first. Definitely. It's a vibrant alive church, with a goodly mix of old and young, in contrast to so many of our churches that are dead (or buried). They also have a laudable commitment to the community and to Wesleyan social principles. The children processing in to receive communion.